Feelings and emotions are an integral part of any mediation or negotiation. When I give talks or training on mediations involving money disputes, such as credit-card debt cases (read the Newsweek article here), people think it is cut and dry- go back and forth on offers and either there is a deal or no deal. Yes, maybe some are like that but every mediation, even the ones I have handled which were settled faster than the length of my opening “welcome to mediation” statement, included expressing emotions and feelings. People want to be able to speak, and want to know they have been heard. This is where a mediator really helps with the process. Acknowledging statements by summarizing, validating and reframing are some of the best tools a mediator can have in their toolbox. Douglas Stone, Bruce Patton and Sheila Heen wrote the book Difficult Conversations in which Chapter 5 is dedicated to feelings. This chapter explains how important feelings are, how to acknowledge the other person’s feelings and how equally important to express yours. Allowing feelings to be surfaced increases the chance for the mediation/negotiation to go well. Unexpressed feelings can leak into the conversation. No one likes leaks, right? Trying to breeze through the mediation and ignoring the feelings present can have them leak, or even worse, burst, and the worst moment. How might they leak out? Through your tone, body language, facial expressions, and silence are all examples. Unexpressed feelings make it difficult to listen. I am a big advocate of the saying seek to understand before seeking to be understood. It does not mean do not look to be understood, it’s important to realize that is second part of the statement. Holding your feelings in will do no good if you are the one involved in the negotiation. It will keep building up and cloud the mind diminishing your ability to listen effectively. Unexpressed feelings take a toll on our self-esteem and relationships. Keeping your feelings out of the conversation keeps an important part of you out it. Learn where your feelings hide. Feelings can be good at hiding and disguising themselves; be a good detective and find them! Explore your emotional footprint. How were feelings expressed by you and those around you growing up? Were they welcomed and openly shared? Accept that feelings are normal and natural. Yes, you are odd if you haven’t felt feelings… ever! Recognize that good people can have bad feelings. I found this one particularly interesting as I often say people are not good or bad but it is their actions which are good and bad. They describe it as, for example, the assumption that good people should not get angry, fail, or a burden. Learn that you feelings are important as theirs. Some of us can’t see our own feelings because we have learned somewhere along the way that other people’s feelings are more important than ours (page 93). As mediators, we keep our feelings out of the negotiation between the parties. I find it very important to remind myself, and others, when we are not mediating and are involved in our own difficult conversations or negotiations that it is okay for feelings to be expressed. 1) Recognize feelings. If it’s anger, tell yourself you are angry. Don’t say it’s okay if it isn’t. 2) Understand feelings. Okay, I am angry. Now connect the reasons or contributing factors leading to your anger. 3) Express feelings. Important factors in expressing your feelings in a healthy way include timing and realizing the other person might not know you feel this way and/or might see the situation differently. Don’t let hidden feelings block other emotions. Page 96 lists a chart titled A Landscape of Sometimes Hard-to-find-Feelings. For example under love is affectionate, caring, close and proud while under gratitude is appreciative, thankful, relieved, and admiring. Find the feelings lurking under attributions, judgments and accusations. These three can led to misunderstandings as well as defensive actions by both sides. We translate our feelings into: Judgments, Attributions, Characterizations and Problem-Solving (page98). Don’t use feelings as Gospel (or Sutra! ): Negotiate with them. Remember, feelings, no matter how strong are impermanent. Don’t vent, describe feelings carefully. Frame feelings back into the problem, express the full spectrum of your feelings, and don’t evaluate- just share. Sometimes feelings are all that matter. Yes, I have mediated cases that seemed to drag on and on, heels were being dug in deeper and deeper and then finally one side acknowledged the other side was hurt by the situation and apologized for their feelings being hurt (apologies are for another day!). The person said they were happy now and that was all they wanted- for the other party to know and acknowledge they were hurt. This is meant to be just a quick introduction to how feelings are ever present and are by no means intended to be an all inclusive writing on the topic. If you are interested in learning more about these points and difficult conversations in general, I recommend you purchase the book Difficult Conversations. It is available [here] at Amazon and many other locations. The ICC has included a mediation process in its new anti-racism code to help cricketers settle such conflicts amicably between themselves. This mediation process, which will be the first step towards any resolution if agreed upon within 48 hours of the incident being reported, could lead to voluntary suspensions and a public apology. TORONTO — Ontario’s ombudsman says the lack of accountability at government agencies underscores a systemic failure that cannot be ignored. Andre Marin says Ontario’s recent troubles show that arms-length agencies can become monsters wreaking untold havoc on their creators. He says the government must learn from previous mistakes at agencies like eHealth Ontario and the Ontario Lottery and Gaming Corp. to avoid further costs to taxpayers and erosion of service. Autism New Zealand is set to enter mediation after disestablishing its Auckland branch committee, unhappy with communication, abuse of power and running of programmes “not endorsed” by the parent body. The two parties met in late August to try to reach a compromise after the Christchurch head office learned of Auckland’s plans to move to new premises in Albany, and demanded to know more details. Autism NZ is a support group for sufferers of autism, Asperger syndrome and associated disorders. It has 15 branches nationwide, and a membership of more than 4000. It’s time for the city’s community mediation program to have its six-month checkup. Police officials were expected to attend this week’s City Council meeting to give a department report on the effectiveness of the program since it was implemented in April. Bickering neighbors who call the police, people who’ve contacted code enforcement and those who’ve completed a form on the city’s website are referred to the community mediation program to help work out their disagreements, according to Sgt. Don Aguilar of the T.O. police. “The program has been very successful so far,” Aguilar said. In the past, addressing property line or landscape disputesloud music and other problems was time-consuming for police officers, who repeatedly had to return to the same address to resolve the issue, Aguilar said. ‘Bad Faith’ Mediation in Nevada Foreclosure Mediations? The Nevada Supreme Court passed tougher rules to force lenders to work with homeowners in foreclosure, but some lenders are worried that they may be unfairly sanctioned.Mediators working with homeowners have the power to find that a lender acted “in bad faith” during a mediation and to halt a foreclosure. The state high court passed its new rules on Sept. 28, in response to a request by state Assembly Speaker Barbara Buckley. More than 2,600 New Jersey homeowners have received counseling assistance through the State’s Foreclosure Mediation Program, Governor Jon S. Corzine said today. Of the 2,500 mediation cases that have been scheduled, 1,450 cases have been completed, with more than 50 percent of families able to remain in their homes. Dear Colleagues: As you may know the Safe Horizon Mediation Program is part of a larger non-profit which strongly advocates and provides services, such as shelters and legal assistance, for victims of domestic violence. Pasted below, you’ll see that the Allstate Foundation is offering a $100,000 grant to the DV service organization that receives the most daily clicks before Sept 15 as described below. If you can visit www.clicktoempower.org and vote for Safe Horizon as often as possible, your help will be much appreciated by SH and the people we serve. If you can, please support Safe Horizon (you can vote once each day)- I thank you in advance! You can learn more about Safe Horizon Mediation [here] and more about Safe Horizon in general [here]. Coming next week I am going to try and switch to a Monday, Wednesday, Friday posting format. This way you, the readers, will be able to know when new posts will be published. This Monday’s post will recap of the monthly ACRG-NY (Association of Conflict Resolution- Greater New York Chapter) meeting that was held this past Thursday. This month’s gathering had over 70 people in attendance (good job people!) but with the listserv having 1,500+ people and many out of the NYC area, I thought some might enjoy a recap. Wednesday will have a post and NY Times video on ‘Thinking Outside The Box: The NYPD & Cricket’ (I hope the intrigue and anticipation does not ruin your weekend!). Friday will be the usual ADR news round up. Wellington, July 3 NZPA – Private mediators will work with parties in civil disputes under a pilot scheme to be run at the High Court in Auckland…A panel of up to 15 mediators who were experienced legal practitioners qualified and experienced in mediation would be set up. Questions I have- what are the qualifications? How will the roster be administered? Will they be paid, if so how much? Good news from Irena Vanenkova, IMI Operations Director, via email the other day:IMI Registrations Top 1,000 WorldwideIMI Moves on to Certification by AssessmentIMI completed its Experience Qualification Path on June 30 2009. Over 1,000 experienced mediators from 35 countries took the opportunity to register on the IMI portal during the EQP period. State Treasurer Bill Lockyer sure has some radical ideas about how to break California’s government gridlock. Hire a professional mediator to facilitate talks between lawmakers and the governor. Former U.S. Secretary of State George Shultz, maybe? And craft two budgets – one for the liberal coast and one for more conservative inland regions. President Obama is giving Vice President Biden a larger portfolio to handle, asking him to oversee reconciliation inside Iraq, but Biden will not be a mediator between factions. During his many speaking engagements to promote his small business mediation service, Small Business Commissioner Mark Brennan likes to quote a letter written by a commercial real estate agent to an aggrieved tenant. …According to him, disputes over leases have made up 90 per cent of the 800 cases brought to the Victorian Small Business Commission’s dispute resolution service. The idea behind the mediation is to provide a low-cost, less confrontational forum that can deal with everything from a $76 unpaid invoice, to trouble over a $650,000 property settlement. The federal government has assigned two mediators to oversee the talks between Air Canada and its lone dissenting union, the Air Canada Component of CUPE, which has so far refused to sign off on an extension of its current contract for fear it would lead to job losses. All five of Air Canada’s unions have agreed to a tentative agreement for a 21-month moratorium on the airline’s pension-funding obligations this week, after its solvency deficit ballooned to $2.9-billion last year. But CUPE, which represents 6,700 Air Canada flight attendants, is the only one yet to agree to an extension of its current labour contract, which is set to expire at the end of June. CUPE says the concessions the airline is seeking would likely result in job losses. We’re looking for a few good facilitators for an event on June 18, 7 pm – 10 pm, at the JCC in Manhattan. Stipends of $30 are available for facilitators, $50 for out-of-towners, and the evening’s activities include an ending food and alcohol reception. The New Israel Fund, Makom/Jewish Agency, Encounter and 15 other cosponsors are producing “Love, Hate and the Jewish State: A Conversation on Social Justice and Israel.” This is a 90-minute dialogue between 100 Jews aged 21-35 on the topics of social justice and Israel. Some information is below, more at www.nif.org/leaveyourmark. Too often, Israel and social justice have represented unconnected, sometimes polar, options for involvement and activism for young Jews. American Jewish Israel activists are sometimes seen as parochial and particularistic and perhaps supportive of Israeli government policies that don’t mesh well with social justice concerns. American Jewish social justice activists are seen, often by themselves, as unwelcome within established Jewish settings and unconcerned about anti-Semitism and Israel. Moreover, there is perceived dissonance between the idea and reality of a Jewish State and a commitment to liberalism and democracy. In short, there are many elephants in the room – unspoken and controversial topics that keep these two worlds apart. Makom at the Jewish Agency for Israel, in partnership with the New Israel Fund, Encounter, and other co-sponsors, is interested in opening these questions up and pursuing a dialogue between the Israel and social justice worlds. Through a “town hall assembly” in New York, we intend to provide a truly open forum in which an honest, probing and meaningful conversation can take place. 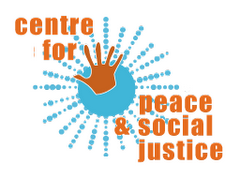 Our desired outcomes are dialogue and conversation between participants concerning the complexities of the relationship between social justice and Israel. Among other goals, we hope to provide a portrait of the multi-vocal views of this age cohort to influence policy makers in the future. ¡P What are the impediments to a relationship with social justice and Israel? ¡P To what degree are the two agendas in fact oppositional or not? ¡P Are there possibilities for integration and/or exchange between the two agendas? This offer of employment limited to facilitators aged 21-35 smacks of age discrimination, which we should not support. I think we might want to consider this reaction very carefully.Peer mediation programs that are used in a variety of settings are based on the idea that it is benficial to have mediators who are of the same group as those in conflict. One part of group identification is often age related. Additionally, in community mediation, my experience is that it’s appropriate and beneficial to utilize mediators that represent the community that they serve in all it’s diversity. That may mean, that at different times, a program might select mediators from a particular group. There are undoubtedly other examples of this.We can certainly choose to look at this from a legal perspective but as a long time ADR practitioner I would suggest that it’s more appropriate to put this within the frame of our collaborative work. It’s saddening that Ms. [name removed] sees the only alternative perspective as the legal one. I think she misses (or maybe dismisses) the point. There is actually some research that is on point e.g. “Does It Matter if My Mediator Looks Like Me? The Impact of Racially matching Participants and Mediators” by Louri Charkoudian and Ellen Wayne in the Spring 2009 Dispute Resolution Magazine published by ABA-ADR. The results were complex but showed no disadvantage to parties that did not match the race of the mediator except when the mediator matched the other party. That issue of DR Mag focuses on race in DR and is co-edited by our own Maria Volpe and Marvin Johnson. Another extensive mediator-matching study with more variables is currently in progress sponsored by Stanford University with data being collected with the assistance of the NYS OCA and Community Dispute Resolution Centers including Safe Horizon Mediation. After the data are collected and analyzed, one of the local participants might present the results at a Roundtable with discussion of both the benefits, if any, of mediator similarity and discrimination. Perhaps [name removed] is reading this? The fact that the posting caused these reactions shows that the topic of neutral selection based on certain characteristics is controversial and needs to be discussed. I think it’s fair that the sponsors believe that facilitators in roughly the same generation as participants might have commonalities with them that could foster engagement. Furthermore, I thought the organization was remarkably sensitive in not requesting facilitators who were Jewish. Rather, they asked for people who have a comfort level with relevant Jewish topics. To me, the more compelling discussion is the ethical response to a party who requests a particular kind of neutral – or requests not to have a particular kind of neutral – based on prejudice. This does not appear to me to be the case here, but clearly there’s room for discussion on the issue. I’ve been reading the posts on this topic and am of so many different minds that I haven’t yet developed a firm point of view. I do know that I feel comfortable about my ability to meet the challenge of building trust regardless of how the parties self-identify or their initial assumptions about me as a 64 y.o. white woman. That somewhat useless bit of information said, I think Judy makes an important point in the discussion and wonder how the parameters of this facilitator request differ from what is provided in peer mediation. My first reaction to the original posting, and all of the previous comments, was, “As trained and experienced facilitators, our FIRST and PRIMARY responsibility is to create and ensure an environment, in which all participants feel safe enough to express themselves, candidly.” Of course, this may be easier said than done; and how do we effectively measure the “safeness” of the environment, “we think” we create. Hmmm! While the pool of facilitators should reflect the population served; it is most important that each facilitator earns the trust of the participants–regardless of whether the facilitator shares the “same” or similar “demographic” characteristics. As professional facilitators of “assumption busting,” we need to be careful not to, also, ASSUME narrow or stereotypical constructs about the facilitator-group participants relationship. Recently, I facilitated a group of nearly 300 people, in another country, and there was NOT ONE black person present–although, there were other people of color. I do not know what the participants were expecting, of me, but I knew that I had to earn their trust and help them feel safe and comfortable. The outcome of the sessions were amazing! Participants experienced major “breakthroughs” and “revelations,” which they shared. One of the things I LOVE most about being a professional facilitator–especially of very “difficult conversations”–is that it challenges me, to be honest with myself and with others–in so many ways, and on so many levels. It challenges me to continuously learn and relearn. So, perhaps we need to challenge our own assumptions and the assumptions of others, about our services. Isn’t it wonderful to be engaged in such dynamic work! .. I am often asked how can I, a white-jewish 35 year old write a dissertation on and provide expertise on adolescent african american innner-city girls… I do it the way and the why of what you described.. More so, at 28 I was the youngest, jewish and white woman to ever teach at spelman college- a historical black womens college.. I was told by most of my students that I could and still do understand them more than most of their black professor.. I am still close with a cohort of 6 of them and it has been 5 years..I do a lot of diversity work also and where I recognize the importance of having folks identify with someone of their identity/racial group.. I also know that we all can do the work and connect with all folks.. Its a gift to know how to connect.I am often the only white woman doing work with all black children and it is wonderful for them and me..So, I appreciated your comments and concur with them..
Is there a way that the onslaught of e-mails on this topic can be stopped. The “reply all” response permits dozens of e-mails to crowd our computers. I think the message has been received and appropriately commented on. Mr. [name removed]– Thank you for starting the discussion. Whatever the conclusion(s), raising the issue was a good thing to do. As I initiated this conversation by raising the issue, I would take issue with the suggestion that the issue was unfairly limited to age discrimination. The initial solicitation did not state that it excluded non-Jews or any other protected group. It did not state that one had to be Jewish; one only had to be comfortable with a Jewish-Jewish dialogue. That would be a legitimate consideration and not discriminatory, as many non-Jews would not have been excluded on that basis. For example, at SafeHorizon, mediators handle disputes that may involve religious, gender or nationality issues on a routine basis, without regard to the affiliation of the mediator. But, the stated age requirement was per-se discriminatory. I chose to raise the point on the list because I felt (I hope correctly) that the list, and this one in particular, should be sensitive to the issue. The list itself is not censored, and our gratitude to Maria for facilitating the list is boundless. No finger is pointed at her. She does not monitor the postings and leaves it to us to adhere to the principles of our callings. That is how it should remain. Well, as a 59-yr old goy, I thought it was hilarious that a posting seeking young Jews to facilitate a discussion between Jews about the Jewish State should offend someone because of the “young” aspect. Nu? As a person of a certain advanced age who loves facilitation opportunities, I too was frustrated enough to write, back-channel, to Rabbi Weintraub. She kindly respond much as she did to the list noting that some groups, such as abuse victims, may be more comfortable with facilitators drawn from their own group or gender.. Patricia Barnes makes a similar point about peer mediation, and it is common practice for heterosexual divorce mediation to use co-mediators of the two major genders. In my own facilitation practice, I have recruited colleagues of color to complement my white face by co-leading groups with me at predominantly minority settings. We certainly wouldn’t sanction restricting an apartment building to whites, or taverns to men on the basis that it would maintain comfort for the existing white tenants or male patrons; however there is a plausible argument for using neutrals representative of the population being served. However before making a determination based on “hearsay” and general impression e.g. “young Jews often describe not feeling safe talking freely about Israel with older Jews”, I believe it is incumbent upon organizers of program like the one described below to at least try to gather some systematic data. In this case, it would not be difficult to select a small sample of representative young Jews who sign up for the program and ask them for facilitator preferences if any, fear about “safety” etc. etc. Without evidence, the “fears” may be in the minds of the organizers. In addition mixing groups and facilitators may result in positive change and tolerance especially with trained facilitators who is likely to accept and reflect all views that are expressed. In the absence of research other than impressions or anecdotes, I believe the default would be to at least allow some “differently aged” facilitators to ply their neutral trade. This could even be an opportunity for research with the old and young facilitators each collecting identical evaluations which would then be evaluated and published right here on this list. Someone earlier suggested you take this conversation to a blog, I wholeheartedly agree. So, leaving it off at that last comment, if you so choose to continue it here, just click ‘comment’ below, it’s free and easy to do. You don’t have to register or anything like that, just a name and email… Enjoy! 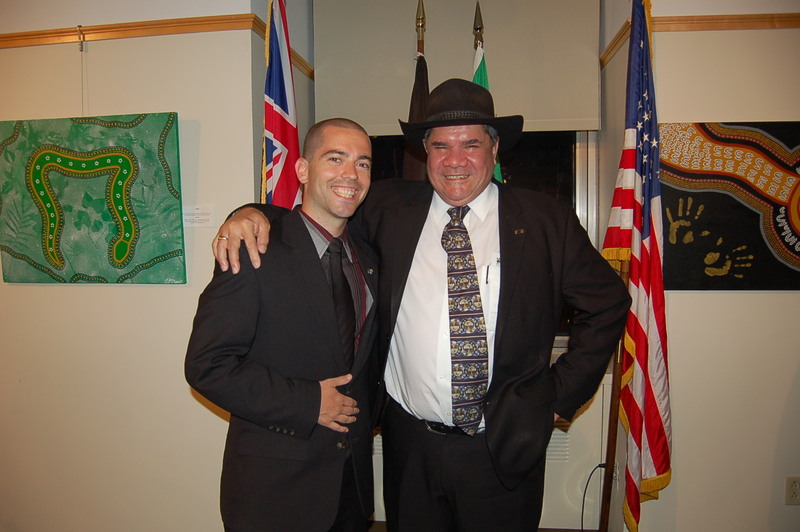 I was lucky enough to be present last week at the Australian Consulate to hear 2009 Australian of the Year, Mick Dodson, speak. Very special thanks to the Consulate for the invitation, especially Fiona Gosschalk. (pictured left is me far left, Mick Dodson, near left. Photo by Michelle Lee, Australian Consulate). Fifty eight year old Dodson is a Yawuru man from the Broome area of Western Australia who now lives and works in Canberra. He is widely recognized as a proud, courageous and humble Aboriginal leader who has spent his adult life trying to explain to people why and how they can help his people. He has pursued justice and reconciliation through a process of education, awareness and inclusive dialogue with all Australians. While his official roles tell only a small part of the story of what he does, Dodson has served in a variety of challenging and highly sensitive roles at community level, with governments, the United Nations and in academia. He has also actively mentored, nurtured and promoted young Aboriginal leaders and encouraged respect between people of all cultures. His brief speech was very moving. As a conflict resolver, he touched on many topics that are a part of my mediation and negotiation practice, both in the NYPD and outside of it. Potentially an easy comment to forget for some so I ask you to think about it. From the mediator’s perspective, how important is it for the parties to be given that time to talk (I tend to call it ‘uninterrupted time’)? In addition to being given that opportunity to speak, how powerful, and many times grateful, are the parties knowing they are not just being heard but also they are being acknowledged when we use simple tools like summarizing, reflecting and validating feelings? Now as you picture that in a previous mediation or negotiation, expand it. Not by a handful of people but by millions of people. Mr. Dodson stated there are over 400 million indigenous people on this planet. Having the opportunity, at the very least, to speak at the forum when the ‘official listeners’ are present to record and acknowledge them is not something that should be overlooked. Again, think about if you never allowed parties to have that opportunity to speak and tell their story in mediation. What would the chances of success be? Would they feel like they are part of the process? And now again, think of it as 400 million people. What comes to your mind? For me, it is something that is powerful yet beautiful that can be easily overlooked yet so necessary. Mr. Dodson then went on to talk about “The Apology”. The apology I am referring to is when Australian Prime Minister Kevin Rudd, back in 2008, spoke of the “mistreatment” that inflicted “profound grief, suffering and loss” on the country’s Aboriginal people. The issue of apologizing, and its potential power, is also a major topic in mediations. When questioned on the power and effect of the apology and if it was symbolic, Mr. Dobson included the comment, “Even Symbolic gestures have power.” He also added that the apology was a move in a positive direction. He equally stressed the importance of not just powerful, symbolic words but also meaningful and measurable results. One of those results are the gap between Aboriginal life expectancy compared to all other Australians went from being a 17 year difference to now 11 years. The last comment I would like to add is that after hearing the Australian of the Year speak, it really gave me a greater appreciation of the power that communication can have on a global scale. Mr. Dodson shows that words are powerful and when combined with action is where progress is achieved. America, Land of the International Mediator? United Nations (PTI): Describing United Nations’ role in peaceful settlement of disputes as its primary mission, Secretary-General Ban Ki-moon has said the world body’s mediation capacity must be bolstered. “Too often in the past, mediators have been dispatched without the full benefit of specialised training and background information, giving United Nations efforts an ad hoc quality too dependent on trial and error,” Ban wrote in a report to the Security Council made public on Thursday. America, Land of the International Mediators? The following article refers to President Obama and his administrations shift in foreign policy compared to his predecessor. Forcing feuding parents to undergo mediation before entering the court system has saved the federal government millions of dollars, a new report reveals.Under changes to the Family Law Act introduced from mid-2007, mothers and fathers who want a parenting order from the court must first attend family dispute resolution meetings. JERUSALEM (AP) — International mediator Tony Blair says there’s skepticism about the prospects for peace because of Israel’s new government. Blair spoke Monday after meeting with Israel’s new prime minister, Benjamin Netanyahu. Blair said he believes Netanyahu understands that the only formula for peace is a Palestinian state next to Israel. Blair said “the only solution that will ever work” is two states living side by side in peace. Update: 3:08PM THE United Nations will review its decision to mediate the proposed President’s Political Dialogue Forum which was to chart a way forward for a return to parliamentary democracy. You are currently browsing the archives for the Australia Mediation category.